Angela Lai is the Chief Technology Officer at GRAIL and leads the company’s software engineering and data science teams. 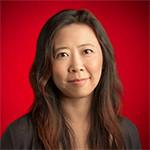 Before joining GRAIL, Ms. Lai was a Vice President at Google, where she led the Product and Engineering teams that developed key Google products, including Search, Payments, and AdWords. She holds a master’s degree in computer engineering and bachelor’s degrees in computer engineering and finance from the University of Pennsylvania. Speaker at MedtechVision 2018 – Panel 3: Attracting and Retaining the Next Generation of Talent: With technology’s increasing role in medicine, how do traditional medtech organizations adapt?